Download best bid whist free game now and be the great champion bid whist app! Bid Whist free game is a simple trick taking 2 player whist card game. The general play best bid whist app is similar to that of hamburg whist game. Enjoy this fun family card game favorite, and download Best Bid Whist Free Game today! Best bid whist app presents a classic trick-taking card game where bidding determines the trump suit and ranking of cards. Play bid whist free game with essential partnerships and bidding, or try Solo and Hamburg Whist variants to play without partners or where the trump suit is pre-determined with each round. • Easy and fast to learn and play. • Smooth graphics and game play. 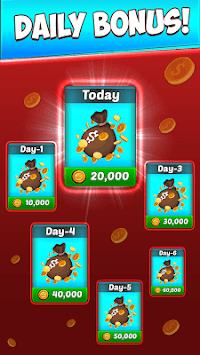 • Come back everyday and get Free Coins as Daily Bonus. 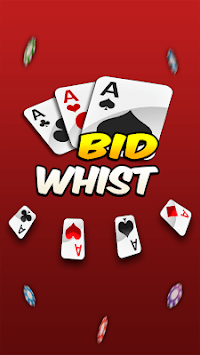 Best bid whist app is now ready for android mobile phones and tablets with its high quality and high level artificial intelligence. Our main contribution is offline bid whist app high level artificial intelligence. Best bid whist free game offers you a great experience against many bid whist players from all around the world! You can play in many different game modes such as classic hamburg whist game & bid whist solo. Looking for a fun, challenging Whist game? Download best bid whist free game now and be the great champion bid whist app! It’s time to play bid whist free game!